Although dismissed as pseudo-scientific nonsense, the third Monday of January – known as Blue Monday, the most joyless day of the year – is enough to induce misery in even the eternal optimist. The festive period is but a distant memory; the weather has turned bitterly cold; you’re fully back into the swing of work, facing at least five more months before the prospect of another holiday or simply some warmer weather. To summarise: today is heinous, regardless of what science might have to say about it. So let our thoughts, and fashion advice, be with you during this trying 24 hours, via five tips to make the January blues work for your wardrobe, inspired by 1990s fashion campaigns. Rosemary Ferguson doesn’t look very chipper in this periwinkle-tinged Miu Miu campaign image, taken by the late Corinne Day. But, it was the mid-90s after all, and smiling wasn’t deemed to be very grunge. The same applies on Blue Monday, of course. Throw on some monogrammed Dior denim, slather yourself in a bottle of tanning oil and straddle your best friend: it’s like the August 2019 trip you’ve booked to Tenerife is already here! It wasn’t just the 1990s pop-ensemble Steps who mused on a deeper shade of blue. 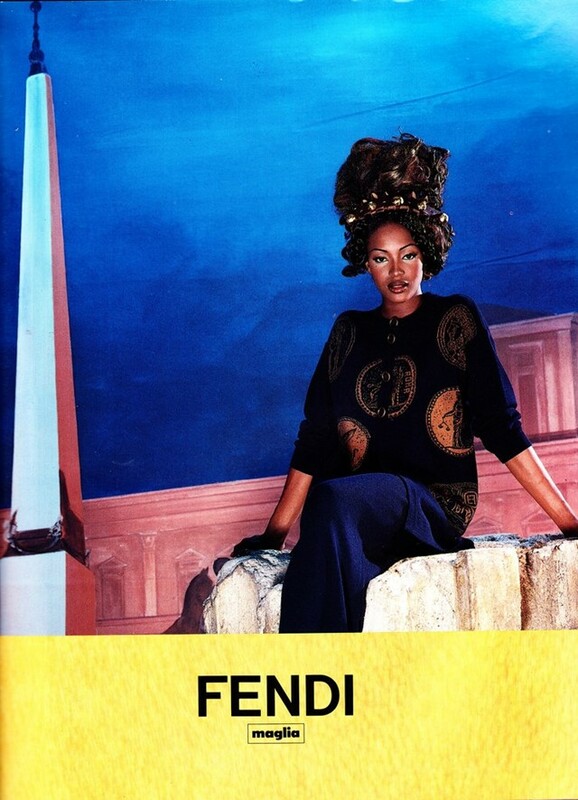 Karl Lagerfeld dressed Naomi Campbell in midnight navy for Fendi A/W92, a styling tip that wouldn’t go amiss on the most depressing day of the year either. And, as with all items of clothing, a midnight blue garment is even better if it’s crafted in leather. See Colette Pechekhonova and pal in McQueen’s Autumn/Winter 1999 Givenchy, for inspiration. An over-the-top make-up look involving a pop of turquoise – à la Tom Ford’s troupe of models in this 1996 Gucci campaign – will see you through today. Whatever you do, make sure your mascara is cry proof.